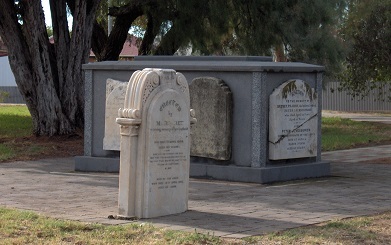 Between the early 1840's and 1874 approximately 3,000 people were interred in the Alberton Cemetery. After it's closure in January 1874 it became neglected, over-run with weeds and prickly pears. The headstones were vandalised, and the area used as an "adventure playground" by the local children. Today very few headstones remain, and the area has been converted into a park.